Seller will give you a gift certificate in the amount of 6,4645 RUB for a positive review of the product purchased. 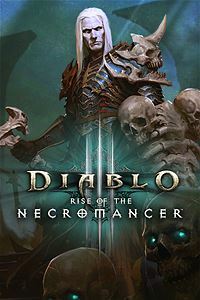 This product requires you to have Diablo 3: Reaper of Souls Blizzard Key GLOBAL activated on your Blizzard account in order to play. Please do not forget to send a feedback after you have used the key. This will help other buyers to make the right choice, also you will receive a bonus card. Please dont forget to leave a feedback after you used the key. It will help to other buyers to make right choose! Seller will give you a gift certificate in the amount of 6,4645 RUB for a positive review of the product purchased..